Corolla comes in a wide range of models. You just have to find a model to suit you in the varied range of 11, manual or automatic, diesel or petrol and in 4 trim levels. The E170 is a refined family sized car. It has grown quite a bit and now offers the interior space of an early Cressida with its new much roomier, more sophisticated, generously kitted cabin. The rear passenger room is substantially more spacious and comfortable than previous versions especially legroom. The quality, appearance and layout of the interior is massively improved over older models and now matches the German competition. Build quality may even be better. With the 1.4 diesel its all about fuel economy. Toyota claim 4.5 litres / 100km. You can expect to get under 5l/100km. It is astoundingly good for such a relatively big car, which is also quite entertaining to drive although acceleration tends to be on the leisurely side. The noise suppression is also very good and the ride is well set up. This diesel version is possibly the best value for money in the rollorange and in its niche. An excellent car for business. All models except for the Esteem come with a new, leather-covered, multi-functional steering wheel with switches for the audio, hands-free telephone and multi-function display system. The Exclusive model is exceptionally extensively equipped as standard with most things you can desire, from a rear camera, auto wipers and light control, to climate and cruise control and so on. 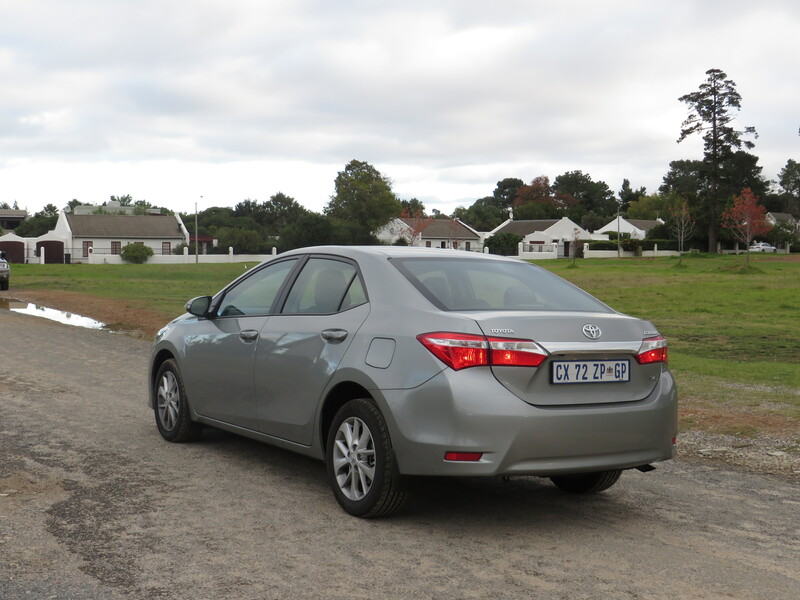 My wife really liked the Corolla she says it feels almost like a small Lexus – smooth, effortless, stylish. Test drive a new Corolla. Do yourself the favour. You will be pleasantly surprised with the interior, styling, performance and the handling. Its a lot of car for your money. 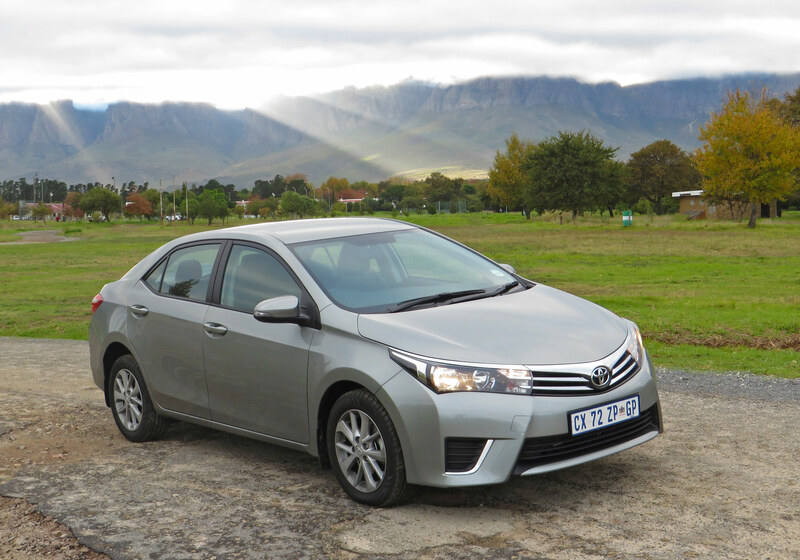 The Corolla range is priced from R224 000 to R297 800. We drove are the 1.4D Esteem at R253 600. I would personally choose the 1.6 Prestige CVT (automatic) at R264 400. Its well equipped, stylish, big enough for 4 adults, decent boot, good performance and frugal. Corollas come with a 3 year or 100 000 km warranty and 5 year or 90 000 service plan. Also look at the VW Jetta, Hyundai i30, Chevrolet Cruz, Kia Cerato, Ford Focus, Honda Civic and Mazda3. 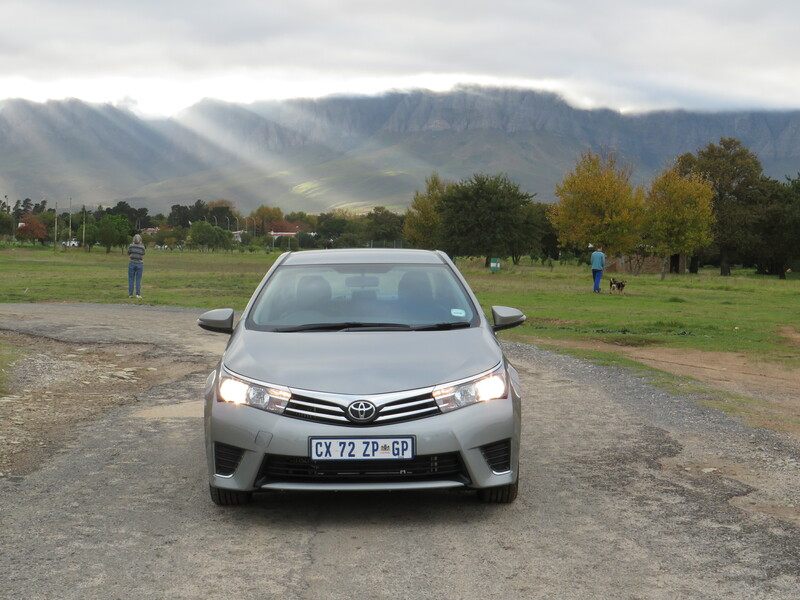 This entry was posted in Reviews and tagged 2015, Corolla, diesel, Review, South Africa, Toyota, turbo. Bookmark the permalink.